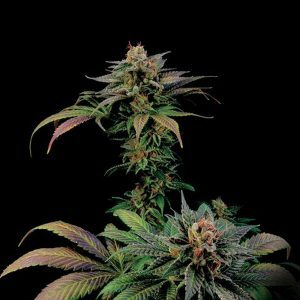 Syrup is a hybrid obtained by crossing autoflowering varieties with the sweetest of indicas. It has a fruity flavour with hints of ginger and elderberry, but its real beauty lies in its potency. With dense and heavy smoke that you can almost chew, its effects are heavily narcotic and ideal for medicinal use. Indoors it is an ideal plant for the sea-of-green technique; outdoors it is discreet enough to be ideal for gardens and balconies. In terms of taste it is a real delicacy and is quick enough for even the most impatient grower!